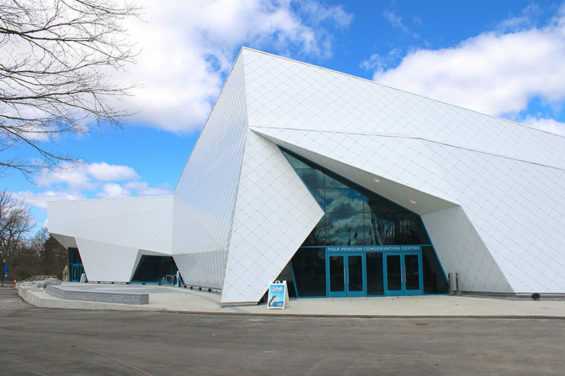 The New Polk Penguin Conservation Center at the Detroit Zoo, open to the public on April 18, 2016, is the largest center in the U.S. devoted to public education on penguin conservation. Home to over 100 penguins of four species—Rockhopper, Macaroni, King and Gentoo—this Antarctic habitat optimizes animal well-being and encourages wild behavior, including sliding, diving, nesting, and rearing young. 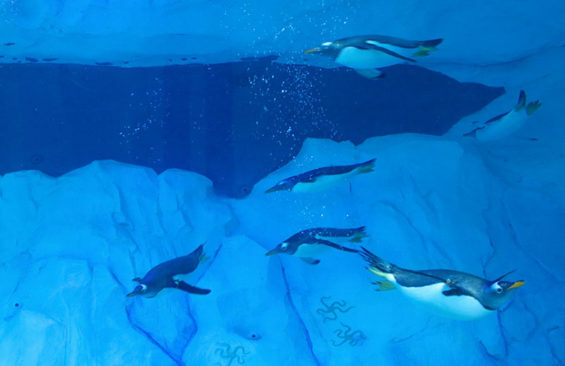 Penguin well-being was central to the design of the new habitat for King, Macaroni and Rockhopper penguins and the introduction of active, water-loving Gentoo penguins. 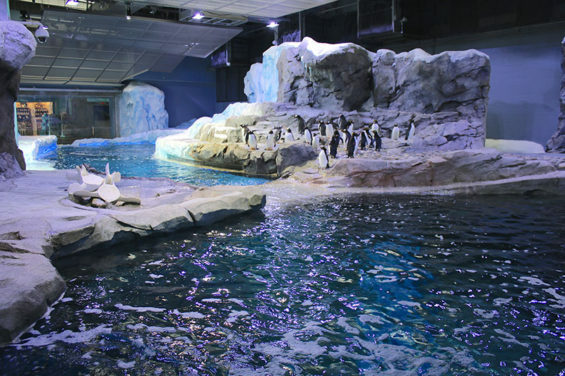 The penguins have a 326,000 gallon pool to swim in, a 4,600 square foot area of land for walking and nesting, an expanse of surface water for tobogganing, and a cold air and water environment matching their native habitat along with a variety of colder and warmer areas for them to choose from. The habitat has the ability to produce over a yard of snow and ice per day, and near net-zero water goals are achieved through the recirculation and treatment of the habitat- and animal-management pools, wash-down systems and exterior fountain-skate area. The Center’s design was inspired by Antarctica, where the design team traveled to observe tens of thousands of penguins in the wild. The building’s exterior resembles a towering tabular iceberg, with a crevasse and waterfall cascading from the roof, simulating a cracking and melting iceberg. 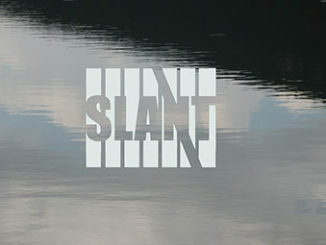 The immersive entry experience was influenced by polar explorer Sir Ernest Shackleton’s legendary Antarctic expedition and epic crossing of the Drake Passage: guests descend a series of ramps – as if aboard Shackleton’s ship, the Endurance – surrounded by 4-D effects, including blasts of polar air and sea mist. Projection mapping, a unique video and sound feature, depicts icebergs splitting and sending massive cascades of ice crashing into the sea. From the outdoor plaza at the base of the 25-foot waterfall, visitors can look through a large window into the penguins’ habitat. The plaza also features a fountain with jets over an outline of Antarctica and surrounding oceans. The fountain area will be converted into a 1,100-square-foot skating rink in the winter months. 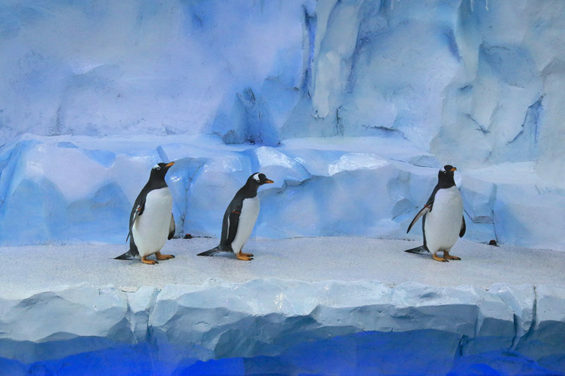 Guests learn about Antarctic exploration and science through interactive exhibits, feel cold Antarctic wind blasts and sprays of water in the 4D Theater, and explore the penguins’ underwater environment. Visitors will encounter penguins swimming above and around them as they move through two transparent, underwater tunnels and will see penguins “deep dive” into the icy 25-foot-deep pool in front of them as they look through a curving 16 feet tall, 35 feet wide, viewing window in the Underwater Gallery. 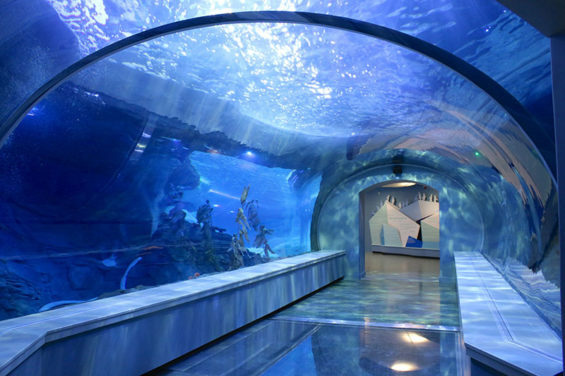 This gallery will also be a highlight for special events as guests can dine with penguins swimming around them. 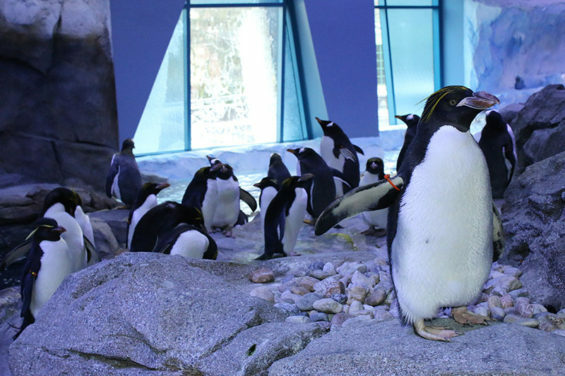 Special behind-the-scenes VIP tours will allow visitors to get close to and interact with penguins and learn about the top-notch penguin care. Upon exiting the facility, guests can splash or skate in the outdoor play area, depending on the time of year. The Center is named for the Polk family, led by longtime Detroit Zoo supporters Bobbi and Stephen. Their $10-million gift from the Polk Family Fund represents the largest gift in the Zoo’s 88-year history. 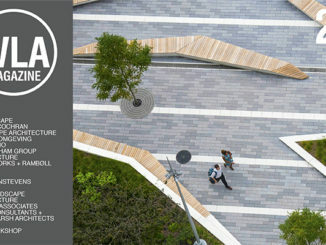 Jones & Jones Architects and Landscape Architects, Ltd.